The purpose of this blog is to share information with my freelance clients and other freelance writer and editors. In addition, the blog showcases the magazine articles and books on which I have worked, and is a platform for me to write about topics I’m passionate about. I have more than 15 years of professional writing, editing, copyediting, proofreading, and marketing experience for national and regional consumer magazines, book publishers, and higher education institutions. I have written or edited content for 20 different magazines and several books. 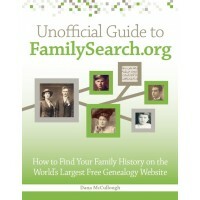 I’m also the author of the book, Unofficial Guide to FamilySearch.org. I currently work full-time in higher education marketing/communications and take on freelance writing and editing projects on a part-time basis. I have a Bachelor of Arts degree in journalism and mass communication from Iowa State University. In addition, I have won awards for commitment to service and excellence from my previous employers.